The Space Industry is emerging as one of the most lucrative industry globally. The Space Industry, is valued at US$ 360 billion in 2018, is projected grow at a CAGR of 5.6%, to value US$ 558 billion by 2026. Demand for nano-satellites and re-usable launch vehicle systems is anticipated to be driven by the massive investment made by countries like US, China, Russia and the European Union in the development of next generation satellite systems and the large scale procurement of such systems by countries like Saudi Arabia, India, Japan and South Korea. The United States is the largest spender in the domain with China, European Union, India, Russia, Japan and South Korea anticipated accounting for the bulk of spending. In terms of categories, nano satellites is expected to account for the highest proportion of spending, followed by markets for reusable launch vehicles, especially those vehicles that can place payloads in LEO orbit. The market for Satellites is anticipated to be the largest category primarily due to the ongoing procurement of such systems by countries of the Asia Pacific, North America and European regions. North America is expected to account for the largest share of the total global expenditure followed by the Asia Pacific Region where countries like China, India, South Korea and Japan are investing billions to procure such systems. 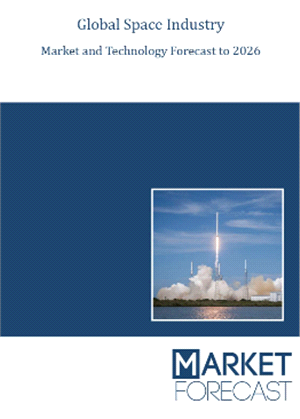 The report "Global Space Industry Market and Technology Forecast to 2026" offers detailed analysis of the global Space Industry and provides market size forecasts. Furthermore, it covers key technological and market trends in the industry and analyzes factors influencing demand for such Systems. The Space Industry is projected to register a CAGR of 5.6% over 2018-2026. Channelize resources by focusing on the ongoing programs that are being undertaken by the ministries of different countries within the space industry.